Maybe they’re getting lots of likes/shares/comments and momentum or maybe their advert has been “knocking around” for weeks and you’re hearing about their amazing results. … AND you don’t have to use any tricky software or dodgy websites? 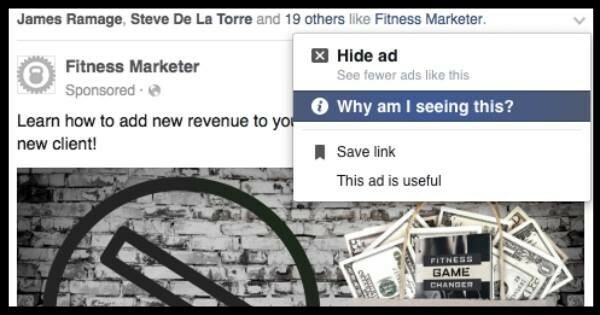 Instead you can click a few options on Facebook and it will clearly tell you. 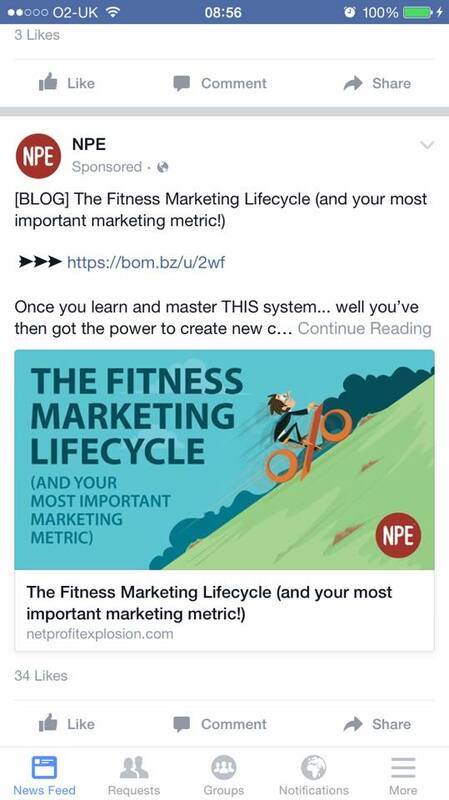 Well, in this blog post, I’m going to share a little trick … maybe even a “ninja trick” if you live in the hyped-up internet marketing world. It will allow you to get an insight into your competitors targeting, allow you to improve your targeting and maybe even discover interests/behaviours/demographics that you didn’t even know about. Well, it’s pretty simple if I’m honest. 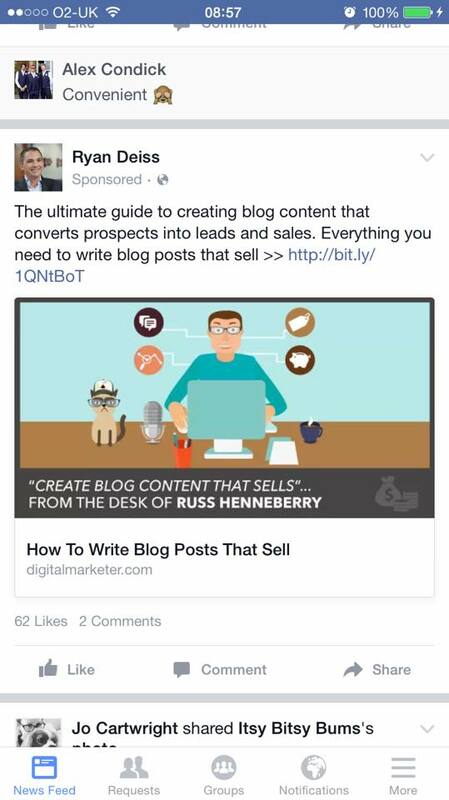 All you have to do is find a Facebook advert on your newsfeed. In the top right hand corner, you’ll see a small drop down arrow. Click that and a list of five options will appear. 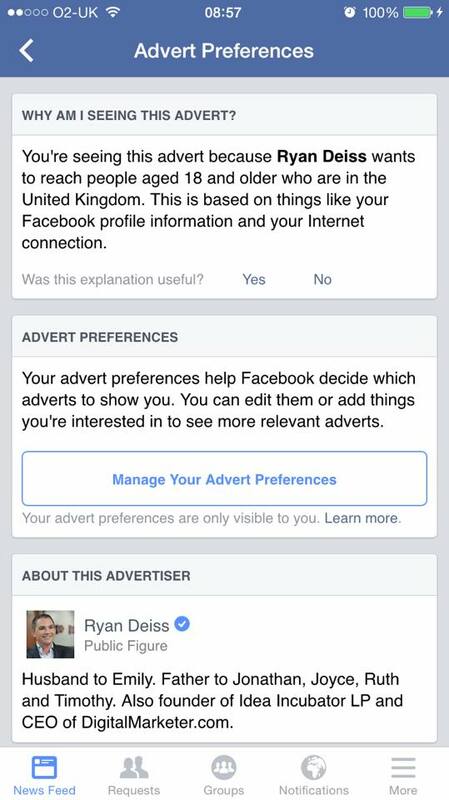 As you can see on the Ryan Deiss example, I’m being targeted because I’m from the UK and I’m over 18. 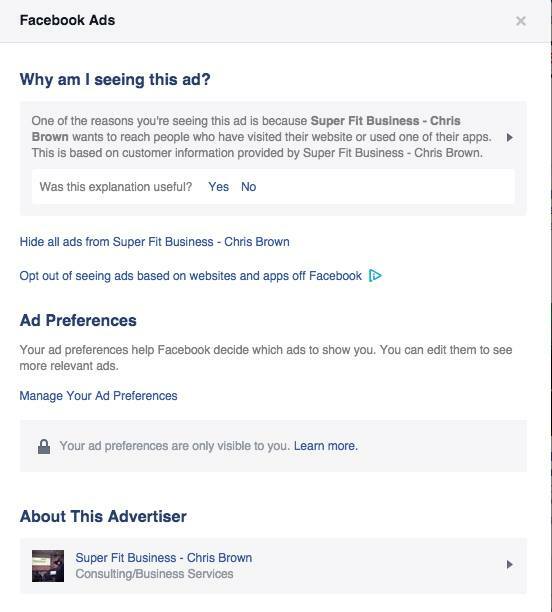 Truth be told, it’s because I like his page – he’s running ads to his followers/fans. 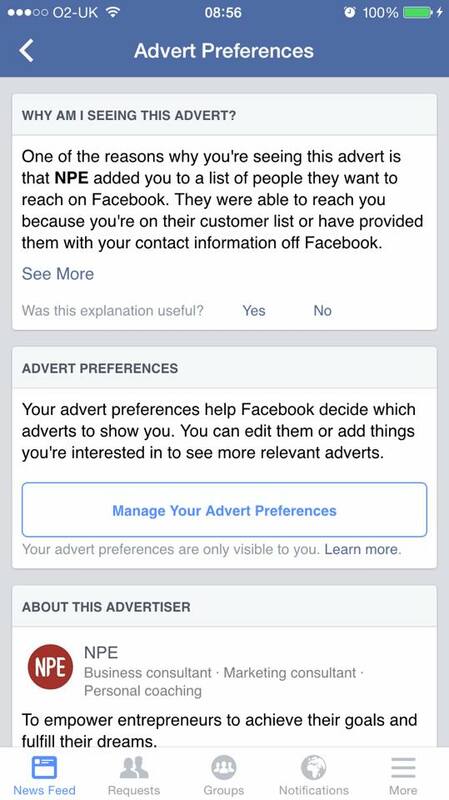 This is from NPE and the reason that I’m seeing this advert is because I’m on their customer list. They have uploaded their customer data as a custom audience and are now targeting it with adverts. Here’s my favourite (what YOU should be doing). As you can see, the reason I’m seeing this advert is because I’ve visited their website. They’ve got a custom audience set up that means an advert appears to all of their website visitors. This is really easy to set up. As you can see, this is something to play with. Now and then you come across some very strange categories that Facebook have dropped you in for some reason. But often you’ll find real insights into what the advertiser is targeting that allow you to replicate/take inspiration from. 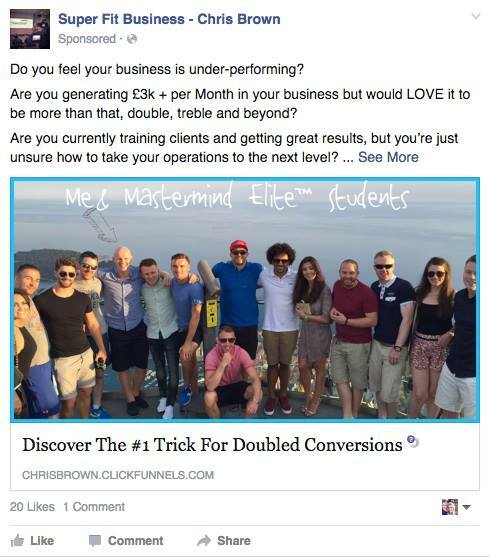 Remember, if you need help to drastically scale your business through highly profitable Faceboook advertising, then you can apply to speak to me.